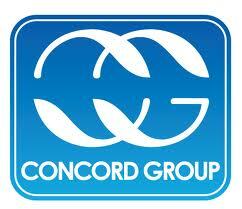 Concord group is one of the established group of companies in our country. They have established some important structure in our country. Such as_ National Monument, Zia International Airport , Indoor Stadium at Mirpur and Bangladesh Shilpa Bank Vhaban. They also established telecom building at singapur(abroad). They also established the first amusement park in our country. Like fantasy kingdom and water kingdom. The first private housing society made by lake city concord. They produce ready-mix concrete batching plants. This ready-mix concrete export to the abroad. Business ethics is the study of what constitutes right or wrong , good or bad ,human conduct in a business context .The years between 1500 and 1800 were important to business ethics , this was a period of social and religious revolution . ethical helps you and your employees make appropriate decisions. Too many ethics discussions are theoretical. Here are six very practical steps for ethical decision making. LAWS – Laws are created to help society function. Is the action you are considering legal. In general, ignorance of a law is no excuse for breaking the law. VALUES – These social principles help to create society’s laws and a company’s policies and procedures. In turn, laws and policies reinforce the values. One example of values in operation is to ask yourself: “Does the action I’m considering follow not only the letter of the law, but also the ‘spirit’ of the law. CONSCIENCE – This internal sense of right and wrong develops from an early age. Your conscience recognizes certain principles that lead to feelings of guilt if you violate the principles. HEROES – Every person has at least one individual who is a role model in some way. A hero may be a parent, teacher, coach, mentor or friend. Is your action what your hero would do in the same situation? How would your hero act? Using these six guidelines will help you take action that is ethical. In concord group Customer satisfaction frequently is based on the quick and efficient handling of problems, or upon the satisfying of specific and unusual customer requests. Many times, customers will ask for something that employees do not have the power to approve. As a result, employees may have to say ‘no’ far too often, or else go through lengthy processes to contact superiors in order to get permission..
Each customer comes to the business with unique needs. To make a sale, and to create a lasting customer, the company has to fulfill these needs. When customers have special requests, make it easy for your representatives to supply what they need. The best way to accomplish this is to set policies that give customer reps as much power as possible. Why require them, for instance, to go through tedious procedures to reach management with specific customer questions when invariably the answer will be ‘yes anyway? Why not at least re-work lines of communication so that managers can be reached in a matter of moments (and not hours or days) when unusual situations arise? To be able to say ‘yes’ to customers more often, employees need to be supplied the resources to do so. It may be necessary to re-think established policies, which can mean shifting responsibility for certain decisions from the back office to the front lines, where representatives are actively dealing with customers. This may mean upgrading representative’s skills, or even seeking higher capability in representatives at the time of hiring. A business is totally dependent on its relationship with customers. Why keep your most qualified employees tucked behind out-of-the-way desks? Put them out where the action is, and where the company makes its money. Empowering customer reps may mean reworking the barriers between departments. Such barriers can become stifling to growth and change in a business. In many successful companies, managers do not think of themselves as functioning in a different sphere from sales people or customer service reps. Managers should be integrated into every customer-based activity. If they’re not, your company runs the risk of becoming stagnant, with many customer-service needs not being addressed. Remember, empowering employees means offering them the chance to take risk, to make mistakes. When people make decisions, errors will occur, no matter how experienced or qualified the employees are. When giving employees the power to say ‘yes,’ you need to make them aware that occasional mistakes are ok, and even inevitable. Allowing employees the opportunity to actively solve customer problems can pay enormous benefits. First, it spurs employees to function with greater enthusiasm and confidence. Employees want to be able to say yes.’ They want to be able to solve problems and give customers what they want, or at least work actively with them toward mutually agreeable solutions. Second, customers will sense the difference in employee morale and energy, and appreciate having their requests handled quickly and efficiently. In concord group maintain Outstanding customer relations don’t just happen. They are the result of careful planning and dedicated attention over time. Keep records about your customers. Find out what they like and dislike. Then, when you see them again, you’ll be able to establish a little deeper relationship that quite likely will translate into future sales-and a dedicated customer. In today’s Workshop, writer Jeff Moses offers some suggestions to improve your customer service tactics. 4) Notable preferences or hobbies that pertain to your business. Photocopy or rewrite the information in a notebook or in a special file on your computer. By collecting and storing such information, you’ll be able to personalize your selling to this individual. You may even spot upcoming product trends when you notice that a large number of people are interested in specific products. All the large merchandisers collect as much information as possible about their customers. Such “target marketing” is the way business is done today. Knowing about customers gives the opportunity to contact them when special sales are underway, or when specific products that they might be interested in have arrived. In essence, sales should always be thought of as “fulfilling a need” that the customer has. By anticipating a customer’s need in advance, you’ll be ahead of the game. Whenever you’re in touch with a customer, whether in person, on the phone, or through the mail, try to personalize your contact by referring to items that you’ve recorded on their “chart.” When you can refer directly to specific aspects of a person’s interests, they’ll warm up to you more quickly. Who’s responsible for acting ethically? You are! It isn’t the “company.” It isn’t just the business owner. It isn’t only your manager. It is every person. Ultimately, each of us is responsible for our own actions, including being ethical. Considering the “3R’s” will point you and your employees in the right ethical direction. Treating everyone (customers, co-workers, vendors, etc.) with dignity and courtesy. Using company supplies, equipment, time, and money appropriately, efficiently, and for business use only. Protecting and improving your work environment, and abiding by laws, rules and regulations that exist to protect our world and our way of life. Providing timely, high-quality goods and services. Working collaboratively and carrying your share of the load. Meeting all performance expectations and adding value. The third “R” of business ethics is RESULTS. Essential in attaining results is an understanding that the way results are attained – the “means” – are every bit as important if not more important than the ultimate goals – the “ends.” Using the phrase “The ends justify the means” is an excuse that is too often used to explain an emotional response, or action that was not well planned or carefully considered. Obviously, you are expected to get results for your organization and for your customers. However, you are also expected to get those results legally and morally, by being ethical. If you lose sight of the distinction, you jeopardize your job, your business and your career. In the wake of Enron, Worldcom and other highly visible corporate scandals, customers are focusing more than ever on the integrity of companies with which they do business. Maintaining ethical relations and honesty with customers can help a small company attract new business while improving its own internal operations. Ads could contain wording such as: “Providing integrity for more than 20 years” (or as long as the company has been in business); “Honesty and integrity are the foundation of our company;” or “We pride ourselves on the integrity of our customer service.” These general statements can help generate an image of honesty and trustworthiness. 2. Provide details demonstrating your integrity and honesty. Our managers personally inspect each repair. We are eager to answer your questions and show you exactly what type of work has been done. We use only factory-authorized parts. Your 100 percent satisfaction is guaranteed. Inform us of the problem and we’ll fix it. Our company has been named (list an award or special designation) for manufacturers in our field. These lists can be included in ads, brochures, plaques or flyers. 3. Use one-to-one marketing by your staff. Each staff member should be instructed to personally ask customers how satisfied they are by the service received, quality of products purchased, warranty work or other work completed. Staff members should be empowered to solve customer problems or to quickly bring in other staff who can. It is a truism of business that the best way to create a loyal customer is to directly and immediately resolve a problem they have. Customers understand that things sometimes go wrong, even in the best companies. How these instances are handled is the key. 4. Use little gimmicks to add to the image of integrity. For instance, employees can wear buttons that say: “Ask us about our integrity policy,” or “Integrity is more than just a word at (name of your business).” Hang banners with similar wording in your place of business. 5. Whenever you display your company’s name, consider adding a tag line beneath it that promotes the image of honesty and ethical concern for customers. Part of your marketing research should be devoted to discovering what your customers really want in the way of customer service. This may seem obvious, but each company and each type of business has unique products, services, warranty guarantees and other aspects of business that attract customers and keep them coming back. You can give out customer surveys that directly ask how your business can be improved. Ad agencies can research customer tendencies and desires. Also, your staff should continually be on the lookout for what types of extra care customers react to most enthusiastically. To be successful in presenting promises of ethical values, it’s essential that a company truly develops and maintains the values it claims to have. Customers quickly see through hollow promises and false claims. # They are not maintain all-time quality and standard. # Some time they are not appropriate wage for work performed. Having considered the lacking, we have some recommendations below. A. The concord group to maintain consistent ethical behavior among all parties connected with business. B. They are obligated to be honest and tell the truth ,fair and just in dealing with others, honest and trustworthy in honoring agreements and contracts and sincere in creating congenial working condition for employee etc. C. Now-a-days customers are not satisfied with only the facility they need more. So,the companies can give more facilities like service provide to the people at reasonable price , Will buy raw materials from the society and to maintain quality & standard . d. The concord group to maintain healthy and safety working condition and also maintain environmental pollution to the minimum (produce concrete batching plants). Now-a-days ethical practice in business is a very importance to the establishment and maintenance of vital and significant relationship among human beings- specifically, in this case , among employers .employee, competitor, consumers, suppliers, community etc. As in other areas, ethical principle have the string for goodness and avoiding of badness, the just fair distribution good and bad ,honesty and truth telling , and individual freedom .